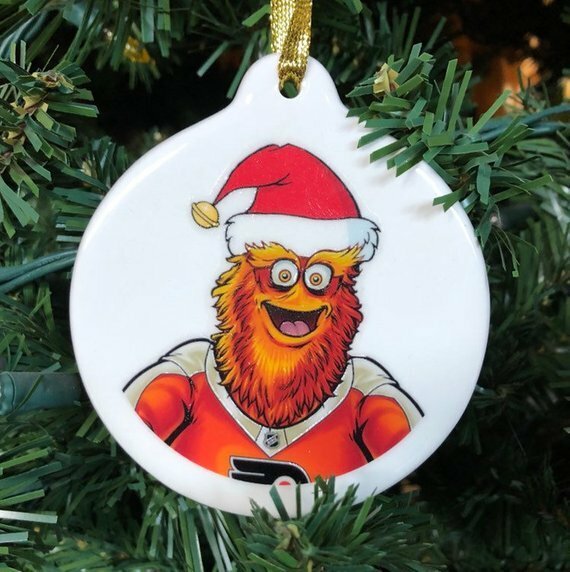 We wish you a Gritty Christmas. 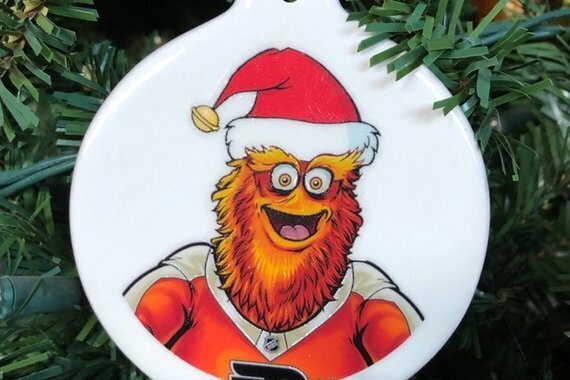 Christmas time is almost here and it's about to collide with the lifelong celebration of Philadelphia Flyers mascot Gritty. Here he is adorning the Christmas trees at the White House. 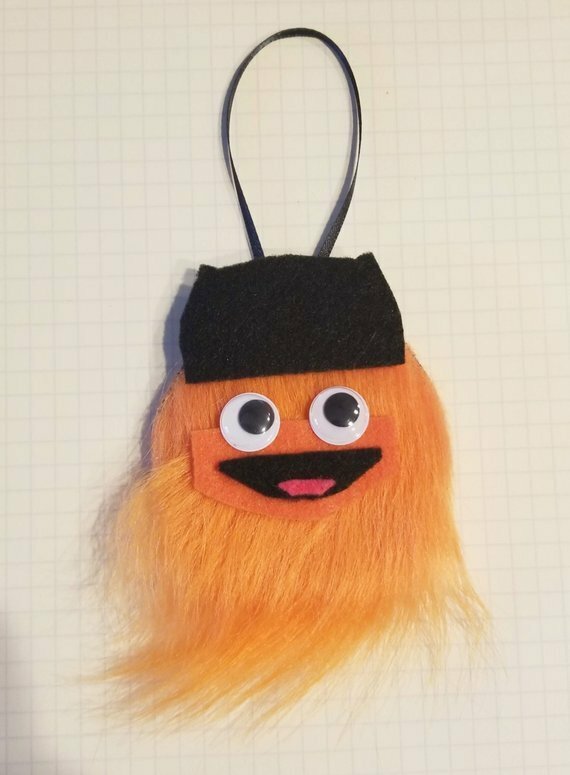 We're not sure if last year's "jawnament" craze will be returning at the Workshop School in West Philadelphia, so we're going to point you toward some other personally crafted ornaments that might find a perfect place on your Christmas tree. Official Gritty merchandise from the Flyers has been fairly thin up to this point. You can bet his likeness is in turbo production heading into next year, but for now there are a handful of Etsy shops offering a limited number of ornaments for Christmas. 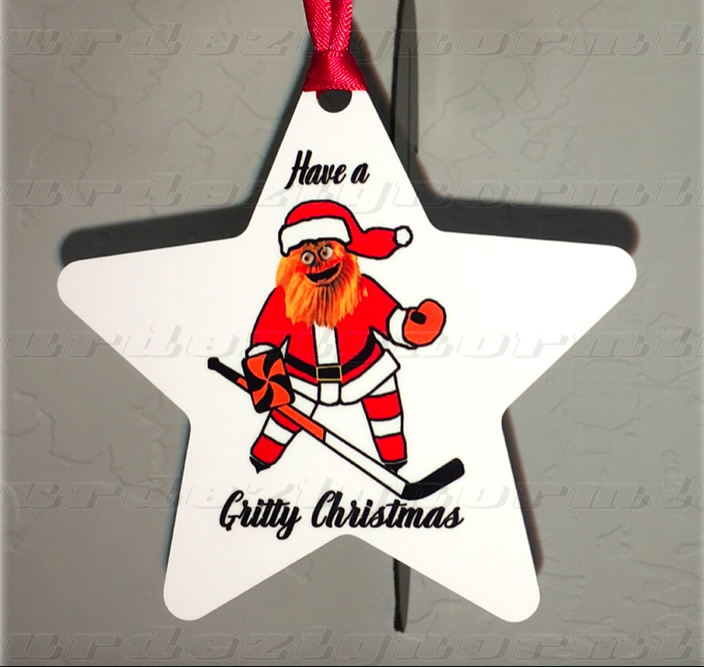 This is a 4'' aluminum ornament with Gritty's image printed on both sides. The red ribbon for hanging is included. Yeah, you could probably make this one yourself, but there's a good chance faux fur, felt, ribbon, wood, googly eyes and foam (plus tax) would cost more, in quantity, than getting this ornament for $15 plus shipping. You can't just go out and buy two googly eyes. The official Gritty illustration is probably the only rendering of the Flyers' mascot that doesn't look kind of sadistic. He looks like a "Toejam & Earl" character, or like the two of them had a baby. If you have young children, this is a friendly way to bring Gritty into the family. 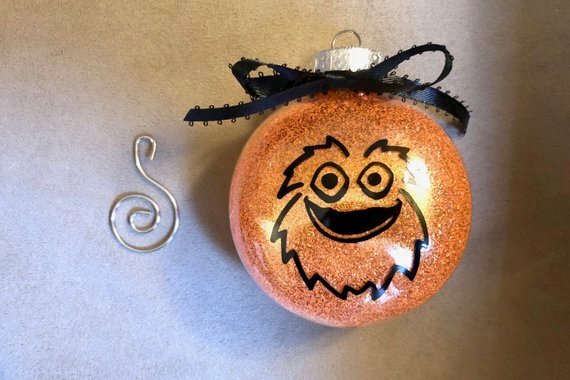 You want the classic spherical Gritty ornament? Here you go. Sparkly orange. Subtle design. Shatterproof. The real deal. This is also available in black with orange Gritty. 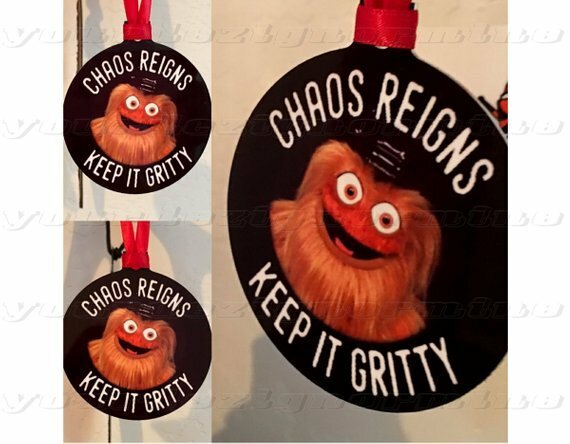 A puck-style, black aluminum ornament that will bring the chaos of Gritty into your home. There are a lot of Christmas ornaments on trees. They're hard to admire individually. This one won't get lost in the shuffle of lights and reindeer. It will probably just bring everything crashing down in some way. Support these artists and have yourself a Gritty Christmas!